It's not a stretch to say the iPhone 6s Plus is the best iPhone Apple has ever made. I am generally not all that impressed with the odd-year "S" models, but this time around things are different. The 6s Plus is significantly better than its immediate predecessor, and most of the competition. The 6s Plus may look identical to last year's iPhone, but nearly everything that counts has been improved. The hardware is as refined as always; the display impresses; wireless network performance is top-notch; and battery life is quite good. I wish it were a bit better for making phone calls, but it still does well enough. 3D Touch sets the iPhone 6s Plus apart the most. It adds a layer of shortcuts to the home screen that can speed up certain activities. Its initial feature set is somewhat limited, but I expect it to expand rapidly. Some may be unimpressed, but 3D Touch is only going to get better with time. The camera is the other big selling point for the iPhone 6s Plus. The improved sensor takes better pictures and Live Photos are a fun new feature that will surely delight many. The user-facing camera receives a huge boost in performance thanks to the new sensor and flash. Who is the iPhone 6s Plus for? If you're using an iPhone older than the 2013 iPhone 5s, please go out and get the 6s or 6s Plus right away. If you have a 6 Plus from last year, the 6s Plus is enough of a jump that I'd recommend it, but only if you can sell your old phone to offset the cost. Speaking of which, the iPhone 6s Plus is pricey. The 64GB model costs $849. Most competing devices — even the Galaxy Note 5 — cost less. It may be out of reach for many people, but installment plans from the carriers are one option to make it a more palatable purchase. The Galaxy Note 5 may be the best Android device in the market, but the iPhone 6s Plus is the best smartphone in the market. 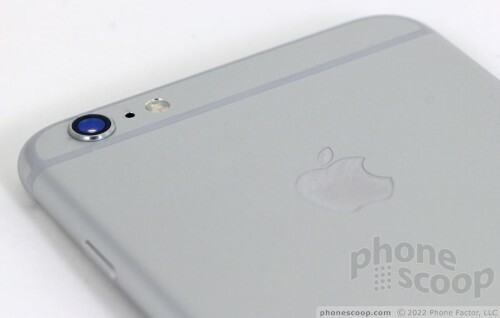 Apple today announced the iPhone 6s and 6s Plus, which are enhanced versions last year's iPhones. Like the iPhone 6 and 6 Plus, the 6s and 6s Plus have 4.7-inch and 5.5-inch screens, respectively, slim metal designs, and fingerprint readers built into the home button. Olloclip's 4-in-1 lens is one of the first few accessories to work with Otterbox's new Universe modular case system. The case provides rugged protection, while the lenses let you be more creative with your Apple iPhone's camera. Apple has added the option to purchase SIM-free, unlocked iPhones to its web site. The iPhone 6s (model A1633) and iPhone 6s Plus (model A1634) are compatible with a wide range of LTE networks, including those of AT&T, T-Mobile, and can be used on any GSM network in the U.S.
Facebook today said it is looking to increase the number of ways people can consume video on its platform. The company is testing a revised version of its suggested videos function on the iPhone, which purports to ease the discovery process for related strings of videos. Apple has released new versions of Pages, Numbers, and Keynote for both its iOS and Mac platforms. The iOS apps gain 3D Touch for the iPhone 6s and 6s Plus, and split-screen multitasking on the iPad.